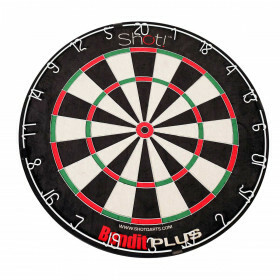 Play and practice like a pro with your own tournament quality bristle dart board. 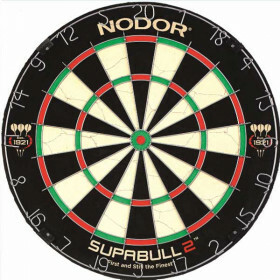 The NODOR SupaWire2 bristle dart board is a competition quality dartboard for your home game room, league or tournament setup. Endorsed by the American Darts Organization! 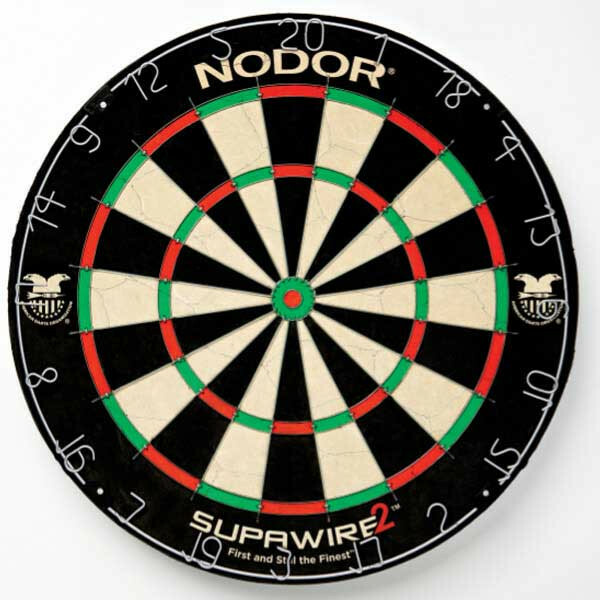 The regulation size Nodor Supawires Bristle Dart Board is endorsed by the American Darts Organization and features ultra-thin, round, Supawire bands and dividers that reduce bounce-outs and lead to higher scores. 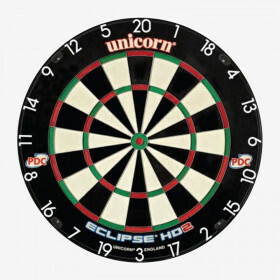 This board also features a staple-free bulls-eye so you can squeeze in more darts and further reduce the frustration of bounce-outs. 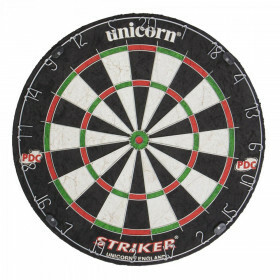 High quality, self-healing sisal fibers are designed to withstand years of use, and the number ring is moveable so the dart board wears evenly. 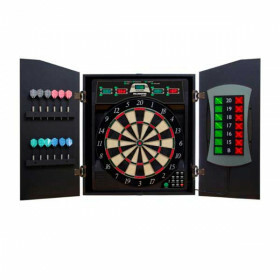 You'll have a hard time finding more dart board for your money! Plus, the reputable Nodor name means you can buy with confidence. 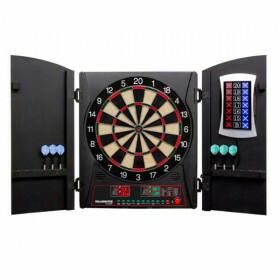 Get one today to start enjoying professional level darts in your own home!